Login Successful: Username Registered as "WatermelonFollower"
I'm going to show you something. "Let's travel to the end together"
Zamadenbora is a boundary nexus located in the physical world, but which attains sentience in the Oneiroi through the mindful realm. It is the cumulative consciousness of all living beings in the Catskill Mountains, be they insect, plant, or animal. Every organism in the mountains has its own city, however, the only stable one is located in the dreamspace of Van Rip. One million thanks upon Van Rip for his creation lest we be tossed into the next world. The result of this is that Zamadenbora is incomprehensibly large with the end forever in mystery. Mapping Zamendenbora is extremely challenging because the landscape is constantly shifting and changing due to the fragile nature of the physical world. The only stable land in Zamendenbora is the de facto capital of Asisiteer Mij. Every moment an insect is born or a sapling emerges from the ground, another country is born. Their will manifested by "Nature" and sent two worlds beyond. Sent once to the Oneiroi, then again into the maw of Zamadenbora (blessed be thy name). According to records in the Wesleyan Library of the OW, our king, Van Rip, founded the waystation of Asisiteer Mij in 1819. There are no requirements for access to Asisiteer Mij, but it is recommended that this be your final destination. The city’s total land area is 314.1592 km² in diameter and the terrain is that of a temperate rainforest. The only season in Asisiteer Mij is spring and the sun and moon cycle every 24 hours, however, the climate and sky exist for only aesthetic purposes. At the end of 365 cycles, the ruler of the area, Van Rip the Magnificent, cuts one blade of grass. When every blade of grass has been cut in all of Asisiteer Mij, one day has passed. That is how the residents of Zamadenbora track time. To call Asisiteer Mij "a city" would be a farce. For it is simply a traveling point to the greater calling of Zamendenbora. When the life of an Oneiroi fantasist comes to its zenith, there is still one place left to go, one last beast to traverse, a final land for the dreamers to dream about. Zamendenbora is a land of freedom (in laymen's terms it is a strict extreme science fiction-verse). You can be who you want to be, but only once is a change allowed. This is the only law. Dreamers have tried to change their appearance more than once, but these attempts have granted them the final rest. Not even Van Rip knows who controls Zamendenbora. Many assume that it is the collective bestowal of nature, transferring their undying will. The cities of the Catskill are irrational and nonsensical in both content and area. There is, fortunately, no way to leave Zamendenbora. When you arrive in Zamendenbora you will find yourself in Asisiteer Mij and on all sides of Asisiteer Mij is the infinite landscape of the beasts. Communication outside of Zamendenbora is erratic at best and errors are frequent. It is assumed that the lands are so vast that they distort messages sent to and fro. Yet such as all endeavors into the workings of the Great Unknown, Zamadenbora, we have yet to find an answer. Bless those who come, for they can go nowhere else. …There are very few reasons why dreamers come to Zamadenbora. I came because I was dying. There was a revolt in one of Xiupania’s derivative cities and I was assigned to go as a journalist. During one of the battles, a Nightmare jumped onto my vessel and slashed my throat (it most likely thought I was a defector). I tried to cry out but there was no voice. I was afraid of death… it's too similar to reality. And isn’t escaping reality why we let the Oneiroi embrace us? I fell to my knees and I opened my dreamscape map and looked at my meager accomplishments. And then I saw it. A small dot at the edge of the map, sturdy in its construction. I never realized it was there until now. Something came over me, and I decided: "Why the hell not? I'm dead anyway." I jacked out of the battlefield and using a lightspeed beacon I jumped into the country, blood spilling out the whole way. I manifested at the top of Majinester Hill. That was over 1,623 Earth years ago. And my neck still hangs a little outside my body. The blood is still flowing but so slow that it has never moved. It is very hard to describe what Zamadenbora actually is. All we know comes from the first resident Van Rip and he dislikes talking. I hypothesize that he is the incarnation of the "Earth" or something of the sort. He actions are, remarkably, not like that of a "normal human." But I digress. After exploring the small station at the front of this world, Asisiteer Mij, I was set aback at Zamadenbora's magnanimity. Later, I set up an information desk near the center to try to explain what little available we know of this place. Now I am the oldest person residing in the this land (besides Van Rip of course). My predecessors and my mentor, Alparslan Nicolaou, all left to explore and find the limits of Zamadenbora, but from what we gathered from information left behind there most likely is no end. Even if there is one, how could we find it? The geography of this land changes every day. I actually think that something in the air of Zamadenbora stops us from going mad, how else can I be sane after staying in the same place for millennia! But what’s most interesting is that no one is upset. Of course, many attempts to escape or jack out of the Oneiroi but to what end? Is this not the goal of all dreamers? They left reality behind; the next step is to leave Oneiroi behind. We exist in the next dream “level” and it was written down 456,412 years ago that Van Rip was the creator of this place. I've been watching and analyzing him for the past 340 years but have found nothing yet. How far can we travel down this rabbit hole of dreams and what will we find at the end? They tried to study the land. I am the last of my generation of dreamers who still hold onto the past with Asisiteer Mij. I believe that you were never meant to stay here long and I think my time is up. Soon I will become a traveler again and find the limit of Zamadenbora. Maybe then I can find out the true reason for this heaven. Log Date: Earth Year 9,634,132 B.C. “For future readers, to clear something up, Zamadenbora is widely known nowadays, this was written long ago when it was still rather unknown." "I've been listening to nightcore for the past 150 years and I still can't forget this trashy book"
"My one body switch and I used it to make myself a pony, was that dumb?" "So I guess we are not reviewing the book anymore and just saying random dumb sh** right"
"I was going through the country located in a tree and you won't even believe what I saw, it was a massive don…"
Sa Koon, head of the Happiness League, has claimed that he received a letter from the east barrier of Asisiteer Mij. Nearly three million residents have left the traveling station of Mij due to the new information, intent on following the letter and leaving Zamadenbora. Escaping this level of reality is our dream and now it might be fulfilled. Wicked residents of Zamadenbora have renounced the letter as fake calling forward the accounts of the most insane resident of Zamadenbora, Van Rip, who͘ h͠a͝s͟ no̸ted҉ in th̴e p͘àst ͟tha̶t ̛not a ̸s͟i̶ngl̨e̸ p̢e̡rs̶ón͠ ͏o̴r m̧e̸ssa̕ge͜ ̕has ̧e̶v̷e͢r̛ ̀re̡turn̷e͜d i҉n̛ ̧the near͜ly̶ t͏h͞irt͠y-͞s̵ix ͜t͝r̴ill҉i̧o͟n̶ ye͜ars̨ o͘f A҉s̴isi͜t͟eèr Mij's̨ e̴x̵istence.̀ But we know they lie. They are feeble followers of Van Rip the Accursed, how can any sane man follow him? In accordance with this new discovery, Clamshells United has decided to make another excursion. Past excursions have all ended in failure, but there is a renewed hope that with this map we can all finally escape this hell. In case you are a new resident of our shared hell, Zamadenbora, then you may not know what the excursions are. Excursions were proposed by a short-term resident, J.C. Randall, in Earth Year AD 1368. He hypothesized that the destruction of the protoverse that exists within Zamadenbora will allow us to find an exit. 928 excursions have occurred with them all ending in failure as it seems that the will of "Nature" becomes unhappy when we attempt to start a crusade against it. But I have hope, as the writer of this newspaper, that the next excursion will lead us to an exit. Even an Awaktoid can read this map. We won't baby you! We plan on annihilating the cities highlighted in red. Behind one of them may be the key to freedom. Chant it aloud residents! Chant it so even the accursed demon, Van Rip, can hear! #outoftheloop whats the view on Van Rip today, killer or savior? Team Member Requirements: Must have over 2,500 years of dream-space field work. Must be able to use tier XVIII trans-dimensional kinetoglyphs for communication. Description: Zamadenbora is an infinitely recursive sub-domain located in the standard Oneiroi dreamscape map. There are multiple paths of entry but the most common being when the abstract concept of "Nature's Will" decides that a particular individual should enter. 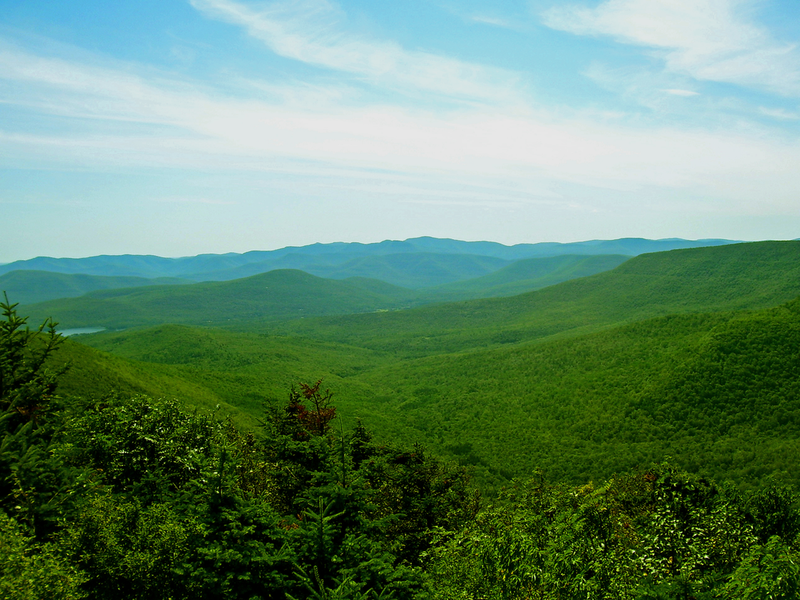 Its physical location responds to the general area of the Catskill Mountains. There is an incalculable amount of cities in Zamadenbora due to the fact that all life in the Catskill Mountains acts a host for its own distinct country. Tests have shown that when a dreamer is in a state of extreme despair or near death, they will become hyper-aware of the location. However, any individual may travel to Zamadenbora anytime. Travel is not recommended as no escape method is currently known. Points of Interest: The assumed originator of Asisiteer Mij, Van Jeut, is h́y̢po̸thesįz̸e͢d to have a higher role in the Oneiroi hierarchy than previously thought. While most likely not being the "avatar" of Nature that some suggest, his bizarre methods of existence are curious. Further research required regarding this POI and his relation to Zamadenbora and the wider Oneiroi Collective. Agents are recommended to avoid entry during normal circumstances. I thought I was the last one here lol besides that o̸̕͘ĺ̷̢̢d̢̨ ̶̶̨͞m̶̶̧a̢̧ǹ̶͘͞. Where are you? The south side has been empty for the last like 4,000 years. That's tru fam… Ive been meaning to ask, what do you want to when we meet up. There is only one thing to do, wanna leave this place? Winkle, why did you show me all these? So you can understand what the dreams of animals and plants are capable of. Now, Redd, imagine what your dreams can do. 1. We wanted to write a paper every second, but there was too long a wait in-between issues. We can't just write a paper every second!? That's crazy! 2. Agents please make sure to calibrate your transmuter to these EXACT DIGITS. The area located next to Zamadenbora is the Horatio Deadlands.